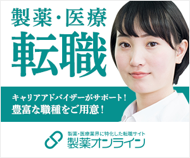 As the certification of pharmaceutical medicine starts in 2008, there is a growing need of training programs for pharmaceutical professionals in Kansai area. In July 2008 JAPhMed members in Kansai area made an effort to start JAPhMed training program with support of Education committee. Training session in Kansai is scheduled quarterly not only to have training for pharmaceutical medicine but also expanding the network among JAPhMed members.